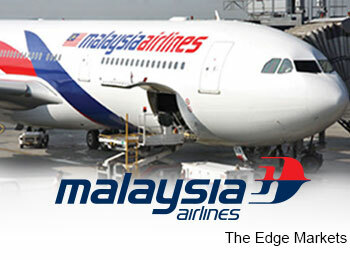 KUALA LUMPUR (Nov 6): Khazanah Nasional Bhd's RM6 billion recovery plan for Malaysian Airline System Bhd (MAS), which sees it buying out MAS shares it does not own at 27 sen each and taking the loss-making airline private, has gotten the nod from its minority shareholders. Khazanah currently owns 69.37% of MAS. Of the total votes cast at MAS' extraordinary general meeting (EGM) today, 93.98% voted for Khazanah's proposal, while 6% voted against it. “Today’s decision by minority shareholders in support of the proposed selective capital reduction (SCR) (of MAS by Khazanah) is premised on the view that the offer price is fair and reasonable as stated by the independent advisor, AmInvestment Bank Bhd, in its independent advice letter dated Oct 15, 2014 as well as the recommendation of the independent directors of MAS to vote in favour of the proposed SCR,” said MAS group chief executive officer Ahmad Jauhari Yahya in a statement today. “Our shareholders’ approval represents a first but major hurdle crossed, and there is much more to be done. We hope to complete the SCR process before the end of the year,” he added. The proposed SCR will become unconditional upon grant of the sealed order from the High Court of Malaya and the filing of the same with the Companies Commission of Malaysia. Ahmad Jauhari said the proposed SCR is targeted to be completed by next month, at which point MAS will be delisted from the Main Market of Bursa Malaysia. "In the meantime, there will be no interruption to MAS operations. The company will continue to fly, honour existing reservations and plan future travel," he added. The impending decision from shareholders at the EGM had prompted panics in the share market, sending MAS shares down to as low as 18.5 sen during afternoon trade. It closed up 1.92% to 26.5 sen, with 781.29 million shares done and giving it a market capitalisation of RM4.43 billion. The stock was the top most active today.